Family birthday parties are so much fun and it just so happens that we are celebrating my daughter’s birthday. Since the entire family gathers at my house, we’re having a casual party with a delicious ice cream cake for dessert. When it comes to ice cream cakes, only the best will do. That’s why I always serve Carvel® Ice Cream Cakes. My kids even ask for them by name and you should see the smiles on their faces when I surprise them with their favorite cake. The birthday girl gets to choose whatever she wants for dinner – cooked by me – and whatever dessert she wants. For dinner, she picked Chicken Fettuccini Alfredo and a tossed salad. For dessert, she chose Carvel® Lil’ Love Ice Cream Cake. That girl has good taste! It’s my belief that every party should have an ice cream cake. 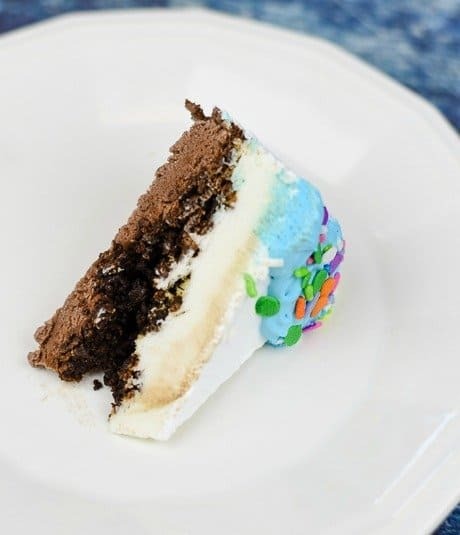 I Love Ice Cream Cakes come in many different styles and sizes, including original Carvel®, Jon Donaire®, and OREO®, so I usually grab two different styles when we’re celebrating a birthday. 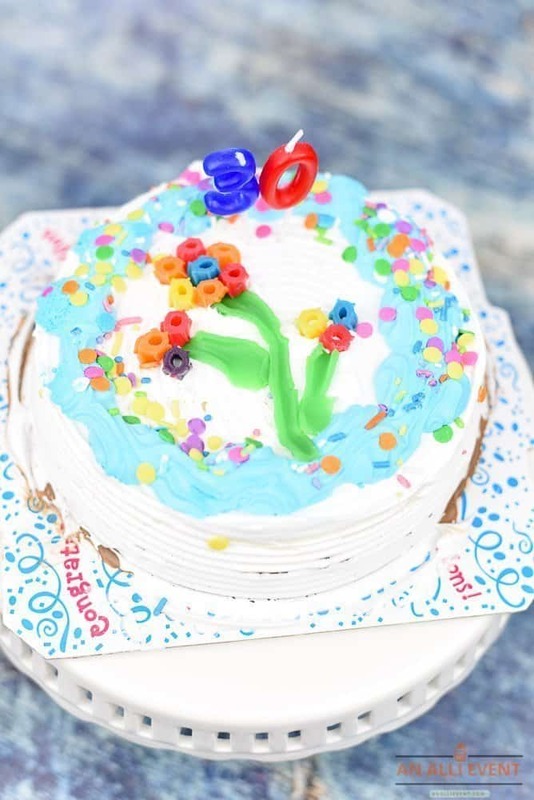 I Love Ice Cream Cakes showcases delicious frozen ice cream cakes for special occasions, summer-time celebrations and are perfect for those days when you need a quick dessert. They are conveniently available in grocery stores nationwide in the bakery or freezer section. It’s so easy to grab an I Love Ice Cream Cake when making my weekly grocery store run. When I was planning my daughter’s birthday dinner, I decided to add a little flower power to the top of the cake. 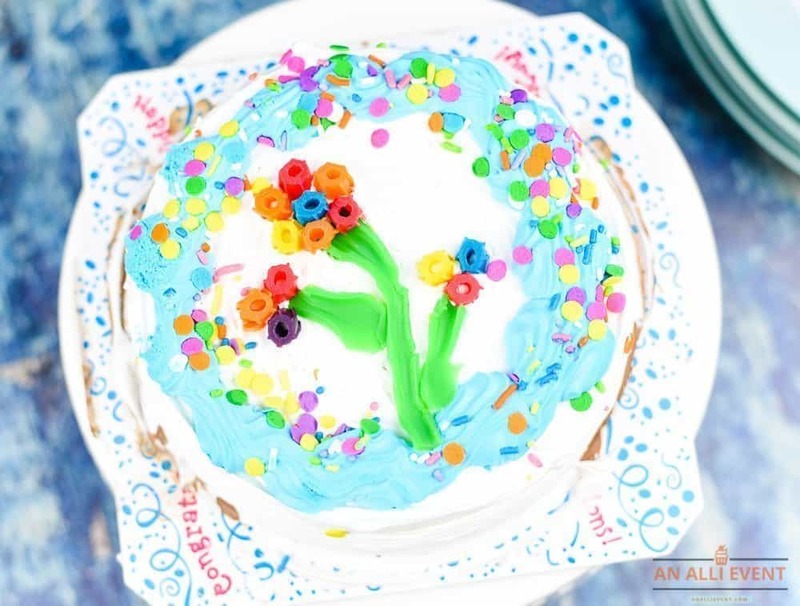 I’m not a cake decorator at all, but you don’t have to be because these flowers are so easy to make. For Caitlin’s party, I purchased a Carvel® Lil’ Love Ice Cream Cake. It’s her favorite and has layers of vanilla and chocolate ice cream, chocolate crunchies and fresh whipped frosting. I also bought a Carvel® Ice Cream Cookie Cake because it’s another favorite at my house. This cake is a combination of two of the best desserts to create the ultimate ice cream cookie cake. 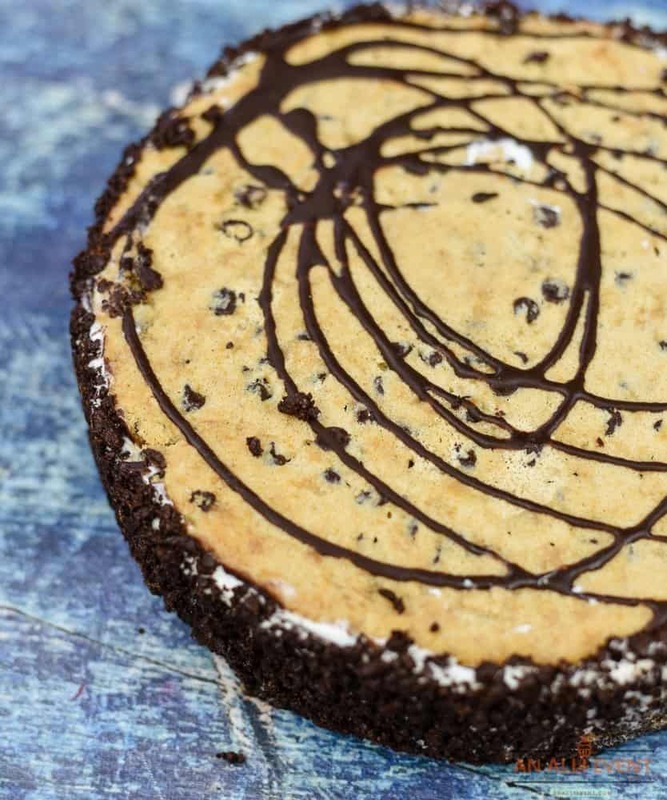 This cake features ice cream sandwiched between two giant chocolate chip cookies then rolled in crunchies. 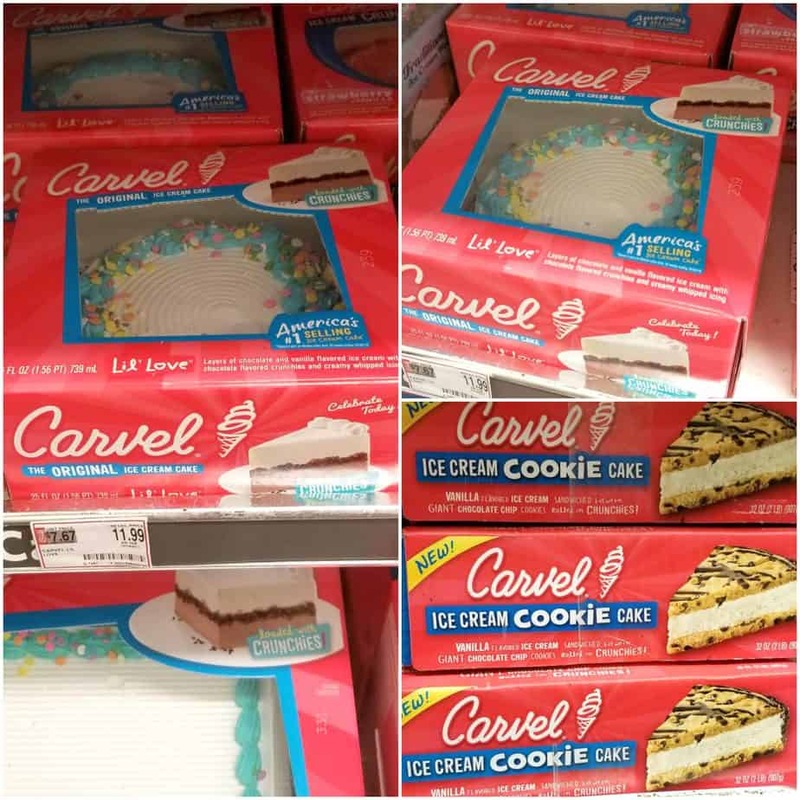 Helpful Hint: Carvel® Ice Cream Cakes are conveniently available in grocery stores nationwide. Find one near you by visiting I Love Ice Cream Cakes’ handy Product Locator. I picked mine up at Food Lion. You’ll need a pack of multi-colored candy straws for this quick and easy cake topper. Cut some of the candy straws into rounds. Cut a couple of the candy straws into thirds. Cut those straws open to make the flower stems. 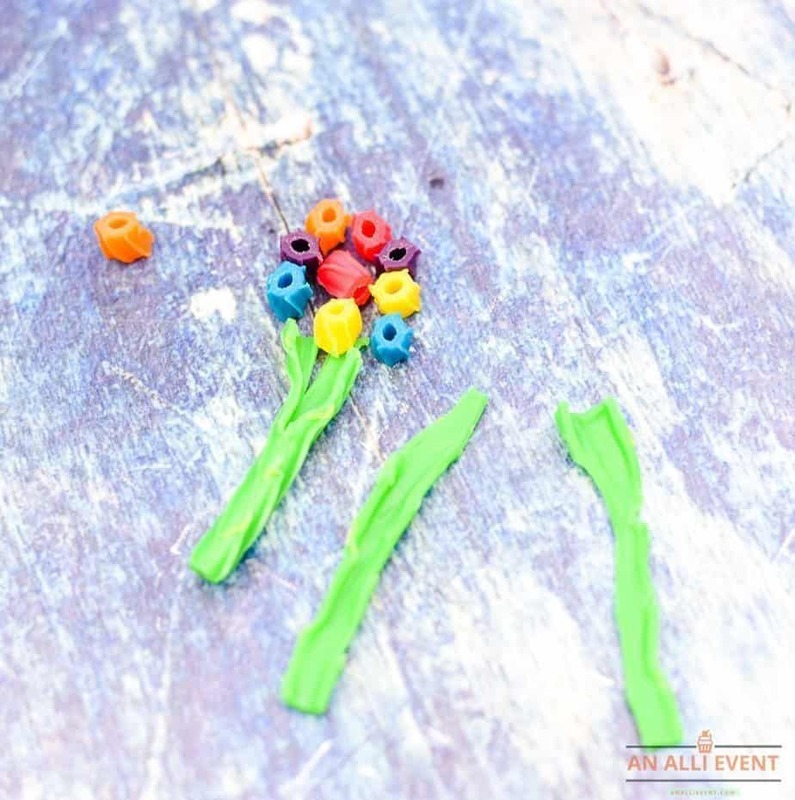 Use your imagination to create a few flowers, pressing the candy straw pieces lightly into the top of the cake. Decorating the cake is so simple and the kids will love to help. Helpful Hint: I decorated the top of the cake, but you could also decorate the sides of the cake with the DIY flowers. I NEED a Carvel cake on my birthday every year. I am obsessed with them. That cookie filling in the middle is the BEST!! What a pretty birthday cake. I am not very good at decorating cakes so this is perfect way for me to decorate. Making something special for someone is always the best. Ice cream cakes are a huge hit in our home. I had no idea that they actually offered a ice cream sandwich cake. Love the idea of personalizing and decorating the cake. What a great way to make a cake look really special! 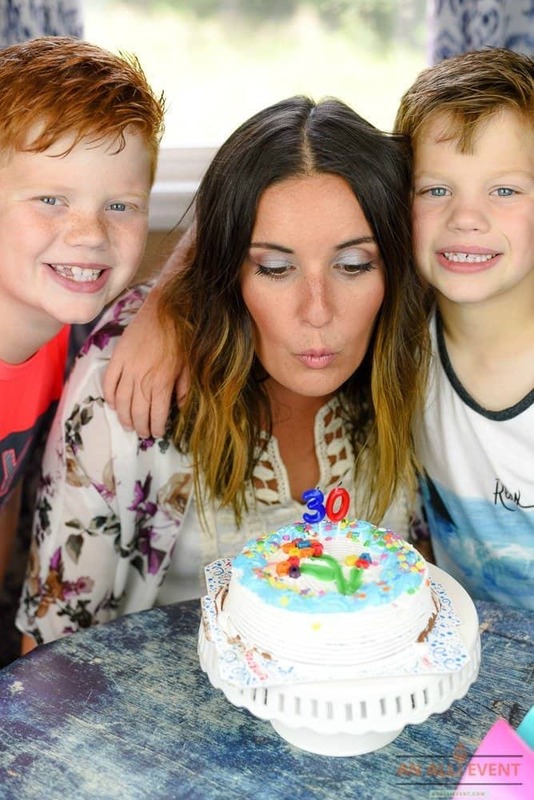 I’ll have to give this a try because we have so many birthdays and everyone loves ice cream cake! They really look beautiful and I know the decorations would be a huge hit! Oh my goodness! That looks incredibly delicious! We would devour that cake! 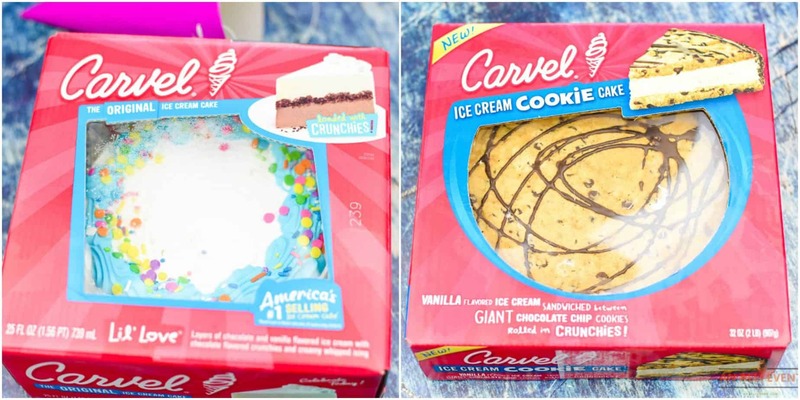 I have always wanted to try a Ice Cake and these cakes from Carvel look so good. that I think I will ask for one for myself. I love ice cream cakes! I’ll have to pick one of these up to try. I’m sure they’ll be a hit. I’ll have to enter the sweepstakes too. Do you know I don’t think I’ve ever had an Ice Cream Cake! I really should try one though as I keep hearing amazing things about them! Carvel cakes were some of my favorite as a kid. Yours turned out super cute! I love the idea of also decorating the side of the cake to give it some oomph! Ice cream cake sounds so great about now… especially with this heat wave. SOmetimes I feel like I miss out on some of the best goodies. THESE ice am cakes look fantastic and your flowers too it off perfectly. What a wonderful cake. We do it small and simple, but spending money on the best cake is well worth it. I’d rather do that, then elaborate presents and themed parties. Dinner, cake and a simple family get together sounds good enough for me. These cakes are wonderful. I believe I’ve had them before. I think we’ll do something similar with birthdays this year. A nice family dinner and a wonderful cake like this, nothing too elaborate. 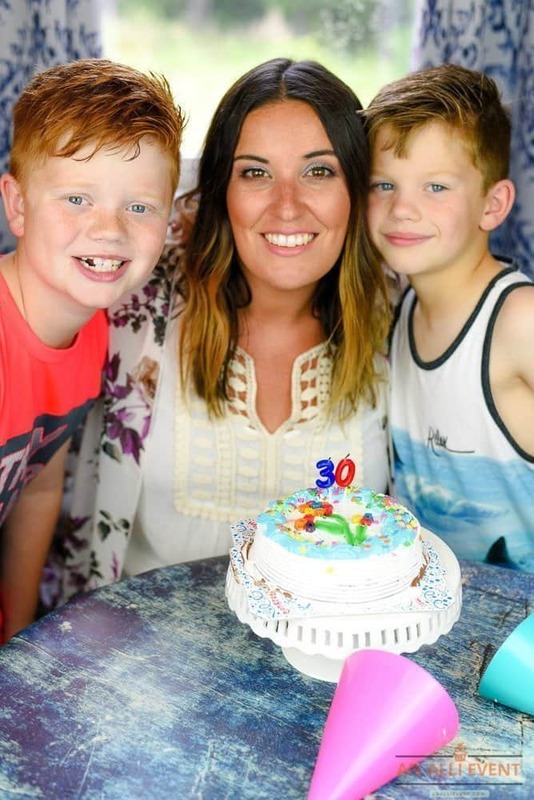 Ice cream cakes are my favorite, but I rarely get them because my son doesn’t like them. I think this year I’ll get myself a little one to go along with my regular cake. Your DIY flowers came out super cute! What a fun idea for decorating! We usually just eat the Carvel cake as is, but I need to step my game up. I love ice cream cakes. During summer season, they are just perfect. Your decoration idea is great. My kid loves to decorate desserts and cake, so he will be happy to try this. Oh my goodness! I love Carvel ice cream so much. We used to go to Carvel and get cones all the time when we lived in Connecticut. Their cakes are awesome. I didn’t know they sold cookie cakes now! 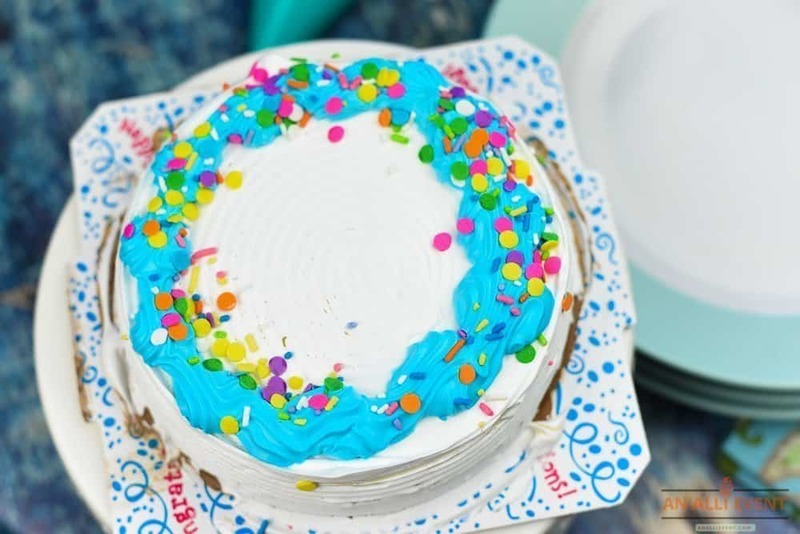 We haven’t had an ice cream cake in forever, but this looks and sounds delicious! Love a good ice cream cake for a celebration! My sister only eats ice cream cakes versus regular cakes. This brand has so many options it looks like!